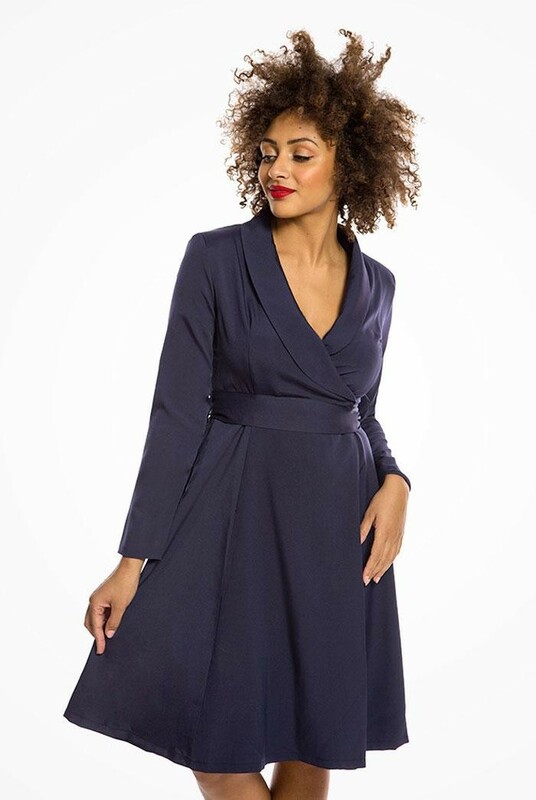 - Midnight blue, tuxedo coat inspired wrap dress (shaken, not stirred). - Plunging collar neckline (oh hey). - Fitted waist with self tying belt for instant hour glass, hotness. - Box pleated skirt. - Black wrap, prom style dress. - Deep v-neckline with soft collar (coat dress cool). - Box pleated skirt. (box clever ladies). - Tied waist band for figure making happiness.